Monterrey rudo, son of Princesa Sugehit. Wrestled in Ciudad Juarez, Monterrey, Chuhuahua, Puebla, Cancún, and Saltillo. His wrestling style is technical, high flying, strong. 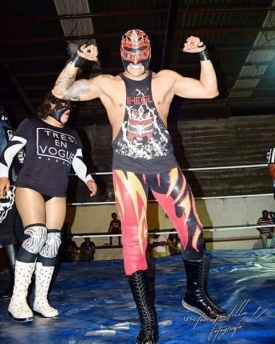 He is part of the CMLL Mexico City Training School and competed in two bodybuilding contests. His ring name is Sugehit spelled backwards. This page was last edited on 19 October 2018, at 18:47.